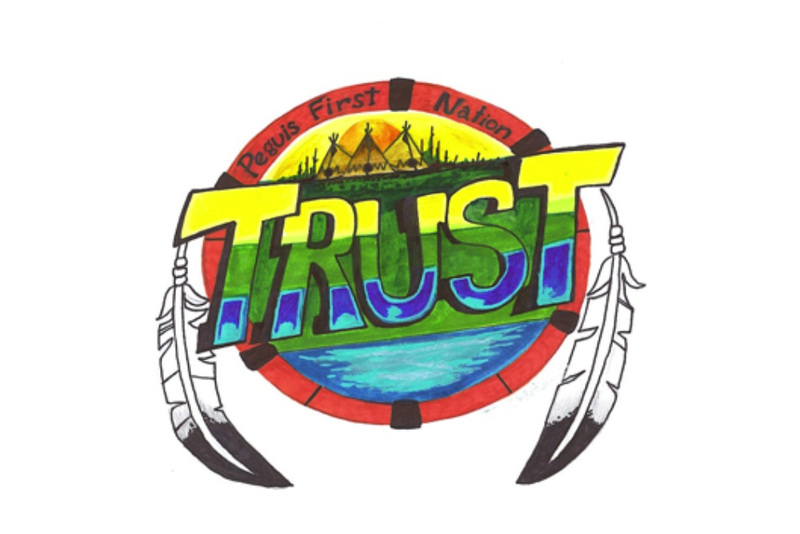 Under the terms of Treaty 1 entered into by the First Nation in 1871, the Peguis First Nation (then the St. Peter’s Indian Band) is entitled to select land within its traditional territory to be set apart as its common reserve. Unfortunately, the First Nation’s claim to additional reserve land entitlement under Treaty (called “Treaty land entitlement” or “TLE”) was rejected on several occasions by Canada since its first formal submission under Canada’s Specific Claims Policy in March, 1978. (b) the Peguis Reserve, being provided under the terms of the 1907 surrender was land provided among other things in exchange for the St. Peter’s Reserve (a Reserve of lesser size), not as Treaty land entitlement. From Canada’s perspective then, the First Nation’s TLE was related to the interpretation of the terms of surrender of the St. Peter’s Reserve. The First Nation had also asserted that the 1907 surrender itself was in fact invalid and unlawful. The area of the Red River valley, specifically the area to the immediate north of Selkirk, Manitoba, which came to be known as the Parish of St. Peter’s was settled by aboriginal people long before the arrival of European immigrants. It was a thriving fishing and farming community which attracted various church missions and other immigrants. Chief Peguis had long standing recognized authority to officially allocate land to members and others, a practice which was affirmed and accepted by the Hudson’s Bay Company. This authority and practice was continued by the son of Chief Peguis, Chief Henry Prince and existed at the time of Treaty 1. Peguis “deeds”, as these titles were called, were issued, sold and traded among the area settlers, which included Indian, Metis and non-aboriginal individuals. However, the majority of the local residents were members of the Peguis Band. When Manitoba was accepted into Confederation in 1870, none of the land in Manitoba was surrendered to the Crown by First Nations. It remained entirely subject to aboriginal title. In spite of this fact, the Manitoba Act affirmed the rights of settlers who occupied land, including the members of Peguis Band, the Metis and other persons occupying land by recognized Hudson’s Bay grant or other authority. Under the written terms of Treaty 1 executed in 1871, the year after Manitoba entered Confederation, the Peguis First Nation was entitled to the allocation of land for its Reserve based on 160 acres for each family of five, or 32 acres per person. However, it was also expressly agreed that land already occupied and improved by the First Nation members was not to be included in the calculation of Treaty land entitlement. Land held by First Nation members was then “private” land, not part of the First Nation Reserve for the purpose of calculation of its TLE. Unfortunately, there was some dispute about this Treaty right, as the right was not set out in writing in Treaty 1, but was stated in the oral assurances and explanations given to the First Nation by the Treaty Commissioners. It wasn’t until recently that Canada agreed that lands held by individual members would not be counted in the calculation of commonly held Reserve. The first Reserve surveyed for the First Nation was the St. Peter’s Reserve. This survey was commenced in 1873. At that time, Canada had not taken an accurate census of the First Nation’s population, and accordingly, due to the confusion about the status of privately held land and the lack of a proper population count at the time of first survey, the First Nation did not receive all of the land to which it was entitled under Treaty, even at that early date. The calculation of the amount of TLE to which the First Nation was and will be entitled to was further complicated by disputes about exactly what land was in fact included in the St. Peter’s Reserve, and further what amount, if any, of the acreage of the Parish river lots surveyed was actually included in the Reserve. Further, the estimate about the amount of land in the Reserve made by the surveyor in 1874 was different from the estimate of later surveyors. In addition, Treaty 1 expressly provided that the First Nation could select land for Reserve which encompassed land already occupied by “settlers”, settlers apparently including First Nation members who occupied land selected before the date of Treaty 1. Surveys of the Parish of St. Peter’s, containing the river lots occupied by Indian and non-Indian settlers and the balance of the common Reserve were completed, but Canada failed to clarify the status of the river lots and numerous disputes arose about who owned what land. At least two official commissions were undertaken by Canada and Manitoba to determine the claims of local individuals without resolving the competing claims. Finally, regardless of the amount of land actually received as Reserve under Treaty, the First Nation asserts that its entitlement to Reserve land is calculated based on the current population of the First Nation from time to time, as its need for land increases with growth in population. Treaty 1 First Nations were again expressly, orally assured by the Treaty Commissioners that land would be provided for future generations. e) the historic evidence indicates the size of the Peguis Reserve offered was in fact an incentive given to the First Nation to entice it to surrender the St. Peter’s Reserve and settle various other claims of the First Nation considered by the 1907 Royal Commission. Canada has also agreed that the surrender itself was legally invalid for failure to comply with the terms of the Indian Act of 1906. A more fundamental basis for invalidity is found in Treaty 1 itself and the Royal Proclamation of 1763 – Reserve land cannot be taken except in a public meeting with the informed consent of the First Nation. According to a population analysis completed for the First Nation by the Treaty and Aboriginal Rights Research Centre in November, 1983, the original population of the Peguis First Nation was 1875 persons, entitling the First Nation to 60,000 acres of Reserve land (1875 persons x 32 acres or 93.75 square miles) at the date of the first survey in 1873. However, preliminary research conducted by Canada completed in August, 1999, indicated a TLE of 47,552 acres. The amount of land received under Treaty as St. Peter’s Reserve is deducted from the final TLE amount determined in the negotiations. The amount of land within the St. Peter’s Reserve was always in dispute. Land surveyed and within the Parish of St. Peter’s, was claimed by the First Nation and “settlers” including First Nation members, Metis and non-aboriginal individuals. The exact amount of land in the Parish occupied by members of the St. Peter’s Band, now the Peguis First Nation, was and has never been determined. Canada and the First Nation have agreed that 1,478 acres of the Parish was common reserve forming part of the St. Peter’s Reserve. The balance of the land surveyed as St. Peter’s Reserve contained an estimated 37,915 acres of land (59.24 square miles). Accordingly, for the purposes of the TLE negotiations, the area of St. Peter’s Reserve has been agreed as being 39,393 acres of land. The First Nation had outstanding TLE in 1873 based on INAC’s shortfall policy on TLE or its then current population and continues to have additional land entitlement today. Further research on the 1873 population of the First Nation and the status/ownership of the riverlots is being completed by INAC and the First Nation. Based on its policy approach to TLE, Canada agreed that the First Nation is entitled to additional Reserve land on June 29, 1998.